First let me introduce myself. My name is Nick, though I’m generally known by a variety of monikers elsewhere around the internet. The Burning Eye and Feydan being my most common alternative personas. Feydan was a character I created a few years ago when planning a deathwatch army (back when the daemonhunters and witch hunters codices were released – I foolishly thought that they’d release all three ordos! ), and was the eldest brother of three siblings of the Daggoth family. His younger sister Jenna is a witch hunter. The youngest of the three Morne is the Malleus operative. The Burning Eye came about when I began to create a background for my Dark Eldar army, and the Kabal of the Burning Eye was born. Since then it’s evolved into something far bigger as the name of my own blog, which you can find here. Second, may I thank our host here Thor for allowing me to join his collective of authors. It’s an interesting divergence for me. You’d think having my own blog I’d have more than enough on my plate to be getting on with. However, I’m hoping that my articles on here will reach a wider, and different, audience to those on my own blog. More importantly, because my posts here will be less regular than on my own blog, I’ll be putting a lot more time and research into writing them. Well, somewhat inspired actually by one of Thor’s own articles on what’s happened to the game, I thought I’d like to put across my own (admittedly and unashamed relentlessly positive) views on 40k, particularly in this time of uncertainty before a new edition is released. So, I guess that means giving you a rundown of my history with 40k as a whole, since that’s an integral part of things. Ok, so my first toe-dipping into the 40k universe came when a mate decided to lend me his tyranid army. He proceeded to chop it to bits with his much more coherent space wolves collection. That put me off for a couple of years, but I was soon back in the fold with the release of Necromunda. A couple of other friends and I decided we would pitch in together and buy the boxed game, and start a campaign together. I was hooked. That hooking equally dragged me into the Angels of Death in the form of Dante and his Blood Angels. In particular, the story of the second war for Armageddon (formerly called Ullanor I now discover!). I still remember the hours spent assembling the contents of the 2nd edition boxed game while listening to Jagged Little Pill, my latest album purchase at the time, and the shredded state of my thumb when I’d finished cutting everything out with a stanley knife. To be honest, I didn’t get in all that many games of 40k in 2nd edition. The main experience being getting butchered by another acquaintance’s all-terminator force without causing so much as a scratch to most of his stuff. 3rd Edition came along with the revolution of the multi part space marine. I ditched the blood angels for a chapter of my own making, the Tiger Legion. These saw a few more games, but as I was supposed to be concentrating on Uni work and not toys, I didn’t really get as much playing time in as I’d have liked. 4th And 5th editions came and went without many games at all. I kept up with the rulebooks and codices for my armies of choice (by now I’d got mini collections of Tyranids, Chaos Marines, Tau, Space Marines, Imperial Guard). It wasn’t until 6th edition that I discovered a nearby club and began playing regularly. Since then I’ve pretty much played at least once a week every week. I’ve been to a few tournaments, organised my own charity event, and I’m now one of the three members who runs the club. So, given the veteran burnout that I seem to be seeing quite a bit of online (bloat, formations ruining the game, overly detailed rules etc), what are the alternatives, and why do they just not float my boat in the same way, and what is it about 40k that means I still adore the game and keep coming back week after week for more? It’s the daddy isn’t it? 40k Is to tabletop wargaming what Disney is to kids entertainment, what James Bond is to the film industry. But, why? Aside from being something very different and unique back when it was first released, that in itself shouldn’t result in it being the biggest now, it must have an enduring appeal that keeps it at the top. For me, there are several elements of it that keep it more interesting than anything else out there. First, there’s the background. It’s mankind vs everyone else. Regardless of who you decide to ally with, there’s something about that to which we can all relate. There are no significant factions within humanity fighting against each other (well, infighting is there, but broadly speaking the imperium pulls in the same direction). There are no ‘corporations’ with their own military arms fighting out in the dark corners of the universe for mineral rights and profit. The core thread beneath the game is the fight for the very existence of humanity itself rather than who gets the biggest share of the pie (mmm, pie). Second, and also somewhat related to the first, is the whole ‘grim, dark’ tone of the whole setting. There is no hope in this universe, no bright future that we can all look to. The Tyranids are just out to eat the galaxy. Orks just want to burn everything and worry about keeping warm later. The Necrons are all already dead. The Eldar are on the verge of extinction. Their latest hope appears to be a god that will only actually manifest once they’re all dead. There’s an irony – their souls will be safe from Slaanesh, but call me old fashioned, I’d rather the cavalry arrive before I got an arrow through my eye – just ask King Harold how that feels!. Whilst the Tau think the future is rosy, we all know that there’s something manifestly wrong about the ethereals. Commander Farsight knows what it is too. Add to that the fact that the Imperium doesn’t even understand its own technology and you have a uniquely flavourful setting. The only true hope you can have for the future is that there will actually be one. Third, we have the models, and not just the models as a whole, but more specifically, the guns . Let’s not beat about the bush. A huge proportion of people who take part in 40k do so because they like painting the models. It’s something GW does better than any other company out there – consistent, original (ish), and more importantly, iconic models. Let’s look at my own personal peeve as a comparison – Infinity. Probably number 2 to 40k in the sci-fi game genre. If I asked you to describe a space marine, what would you say? Massive armour, boltgun with sickle magazine, helmet with an upside down heart grill (yep, you won’t be able to unsee that now will you), huge shoulder pads etc. But, similarly you could describe Eldar, Tau, Orks, Necrons, etc and they wall all be immediately recognisable and different. That just doesn’t happen with Infinity. I could describe an almost infinite (see what I did there?) number of their models and the descriptions would apply equally to just about any of their factions. Now yes, I realise that a good proportion of that is because they are mostly descended from the same gene stock, but the miniatures are important to a lot of people, and their style is part of that. Infinity (ironically) has one style, whilst 40k has many, and I think that generic nature is one reason it’s not bigger than it is. Equally important I think are iconic weapons. Sci-fi is often about that sort of thing, the morita rifles in starship troopers, the lightsaber in star wars. Again, GW does this exceedingly well, and the different guns carried by different races are distinct and visually stylish too. Yes, the magazine in a bolter looks big enough to hold about 3 bolter shells in total, and there’s nowhere obvious where a space marine keeps his reloads for a battle, but who cares, when the gun looks that good!?! It’s not just marines either. A shuriken catapult is iconic, the pulse rifle is instantly recognisable, and who doesn’t know what a gauss rifle looks like? Finally, we have variety . Nothing else out there comes close, and it’s also why 40k is my first love over and above 30k. 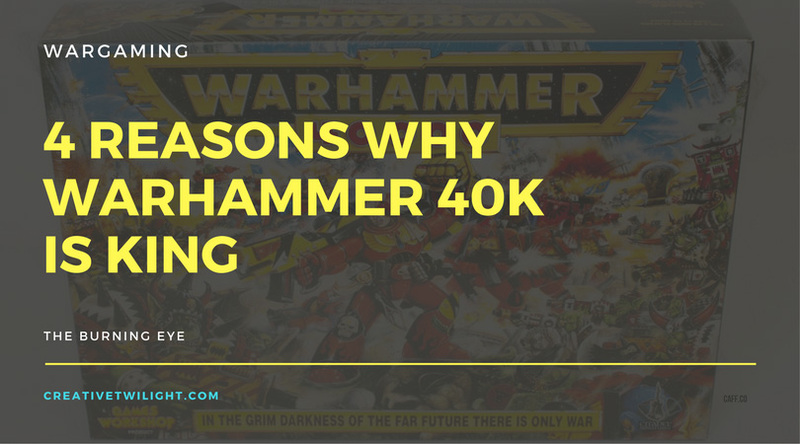 Incidentally my original plan for this article was about why 40k is still better than 30k, but I decided that wasn’t really fair since it’s a very different beast and dependant on what you want from your games. At the latest count, there are 30 separate factions listed on GW’s website for 40k. Even if you club like factions together (all marines, guard and tempestus etc) I’m figuring we still have 15 distinct factions. That’s nearly twice what infinity brings to the table. 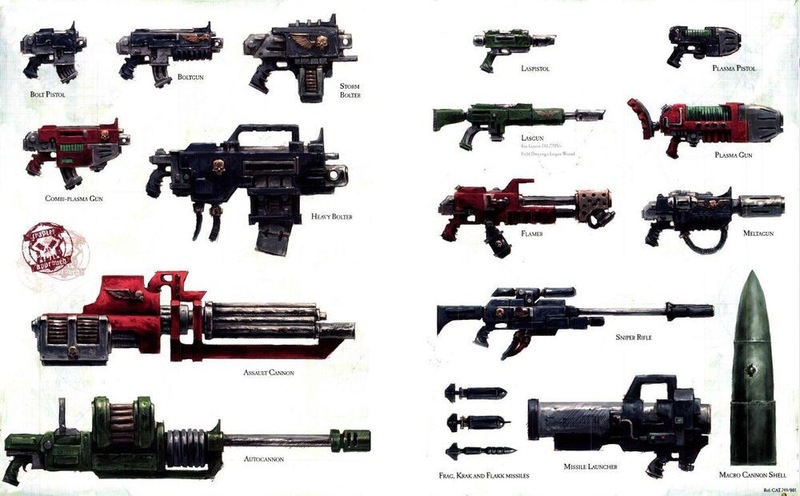 I am going to venture into risky territory here too and say that it’s that variety that in part makes 40k what it is, and why (to me) its appeal has never waned. 30k Is a mile away from having that difference in gameplay. A couple of factions aside, 30k will always be about marines v marines. Unless the players are going super fluffy to their particular legion, I’ve noticed that army selection is not at all interesting. Let me expand on that – I’ve watched quite a few battle reports now for 30k games on youtube, and the army selection goes something like this. I’ve actually stopped watching so many games now. It really felt like I was watching the same match up over and over with different coloured models. Who won simply came down to whose big and nasty model got the drop on their opponent’s identical big and nasty model. I’m exaggerating a bit of course (only slightly, Spartans and Leviathans are particular guilty parties for appearing in every list), but ultimately I think 30k has failed its players here. You have 18 factions using the same core army list, with each of those factions able to draw on a small number of unique units. But how often do you see those unique units taken in any great quantity to give the army character? It doesn’t happen, because actually the core units are still noticeably more effective than those flavour units. I often hear the argument that 30k is more balanced than 40k, and that’s very true. Seeing armies facing off over the table is more like watching sandbox chess. Each player has the same tools at their disposal, but those pieces can move wherever they want. Don’t get me wrong, this isn’t a rant at 30k. I love the setting and the sense of history alongside the scale. There’s the different abilities of the differing legions, and the gut-wrenching sense of an opportunity spurned by Horus’ betrayal. However, I just wish that the variety of legion specific units saw more table time than they seem to in my experience. 40k Does not have this problem. 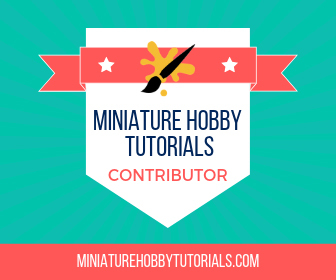 There is a huge variety of armies out there with wildly differing playstyles. In part I’m convinced that’s what leads to the claims of imbalance. How do you properly balance a game where one army is trying to flood the table with hordes of stabby, little gribblies whilst the other has an elite army trying desperately to hold back the tide through rate of fire – all subjected to the whims of the dice gods! 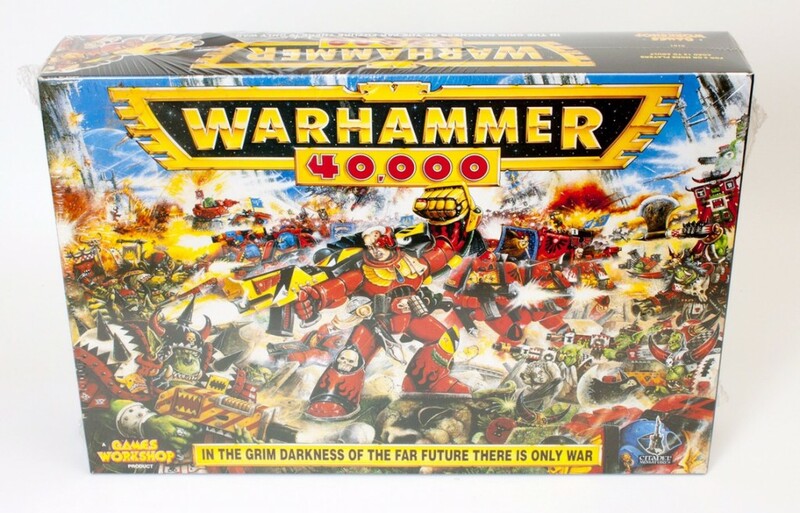 40k Isn’t perfect (far from it), but in terms of the variety of armies it brings to the table and their playing styles, the iconic miniatures it makes use of, and the sense of the epic holding back of the destruction of the galaxy, it just doesn’t have a competitor out there, and ultimately that’s why I think it’s still the game to beat, and why I still get excited about playing it each and every week. Good article, and all very valid points. It’s because of all those points that I’m still hanging in with the game despite my reluctance with it lately. However, the question becomes how long can those things carry a game? As I’m getting older I’m finding that while the mentioned elements are great, they aren’t required. Lately I’ve been more after a game that isn’t 120 pages of rules, won’t require painting 50-60 models for a casual game, and has variety but not so much it can’t be balanced. Basically, I’ve started embracing the specialist games. You get that same 40K vibe, other than Blood Bowl, on a scale more to my taste lately. Now, that’s me and I speak for nobody else. I would love to see 40K go back to the scale it was when I got into it, the days before flyers, super heavies, gargantuans, etc., but that’s just wishful thinking. I am with you in some respects for scaling back. 1500 pts is my preferred game size and I tend to avoid superheavies and flyers. I like flyers and super heavies, and honestly – flyers aren’t a big deal, but they’re just elements from Apocalypse that got shoved into 40K. Right now I feel like 40K is a combination of Epic and Apocalypse, and that’s the part I don’t like. That’s an interesting debate certainly, because back in second edition 40k itself was very much a skirmish game, and it isn’t any more. If skirmish games are what you like then I can see why 40k is gradually turning you away, though I don’t expect gw to limit its scope in a new edition. Personally I like the scale of it all now, and I think scale is still manageable through setting a lower points level. As Mike says, 1500 is a nice level where you generally need to leave something behind and make genuine choices in your army selection. 1,500 is where I prefer to play at, but we bounce around quite a bit at my FLGS. Still, 1,500 now is like what 2K used to be when I started. Sounds like Shadow War might be right up your alley. I know I’m really looking forward to it, because that’s about the size of Ork force I can get myself to paint these days. I’m definitely interested. I’m just hoping I’m not the only interested one at my FLGS. That is a concern, yeah. I’m lucky that the handful of folks I have to play with around here are all interested. Knowing the group at the shop, I’m not positive about the prospects of Armageddon. We’ll probably get a day or two of shop sponsored events, people will build a small force, but won’t play the game on Wednesdays. From what I understand its not a tourney friendly game, because it hinges on progression. We’re all old with wives and families, so getting game days in is limited, and most seem to spend the free time points on 40K. I know I do. I love the idea of building a small kit bashed non Marine force, but I know I’d never actually play the game. I’m such a wet blanket, I know. A game without commitment like 40K is certainly easier to work with. A Shadow War event I’m sure will happen, but no doubt done as a single day thing. I’d love to see people branching out more but I’m not holding my breath. That’s a real shame, my favourite GW games are those with progressive elements, and I’ve always tried to build that in wherever possible when I run 40k campaigns at my club. Progressive elements lead to you caring far more about the individual models and characters in your army, and I think that’s only good for the game! I’ve been a huge fan of 40k ever since 3rd edition. I always try to stay positive about the game and I really do love it. There is a huge amount of variety right now, which is great. My games in earlier editions always seemed to be only against Marines. The one thing I do miss about earlier editions was that I had memorised all my army stats, points costs, rules, etc. I could easily write up a list without even looking at my codex. Much harder to do now! Nice article! As a long time player of GW products, your article nails it for me too. Even now, GW inspires my games with new models, new fluff, new rules. We can even play games outside of “true 40K” using the same models and such (see the new Armageddon game). I think the game itself, now heading to “8th” edition, is iconic and never boring. I look forward to your future articles. Thank you! Nice to see I’m not the only person out there who still gets excited about the prospect of playing the game and immersing themselves in the universe! Nicely done Nick, pleased to see all the positives highlighted, and all the things I also love about 40K. Now I am looking forward to the upcoming changes ironing out the bits here and there that lean the other way, and make the game that little bit too crazy, and with luck we will see the best edition of the game we have ever had. I look forward to hearing your thoughts when 8th does drop. Cheers Frank – I’ll be trying to keep up to date with the released info on my own blog, and there may well be more articles here as well, we are in for an exciting summer I feel! Great article nice to see some positivity about 40k for once! I love it, just don’t get enough time to arrange regular battles. But even when its months between battles, I really look forward to them and use the time in between to paint, build and plan. And don’t forget reading the unlimited amount of novels on BL site! Cheers Siph, as I have always said, if you want someone to find something positive about 40k, I’m your guy – it took me 6 months of playing when I came back to the hobby in 2012 to win a game, but my enthusiasm for it never dimmed in that time. Honestly, I’ve hit the point where I love pretty much everything about 40K except the Rules. I tolerate those, but I’m really hoping for some major streamlining soon. Right now, the big thing I’m looking forward to is Shadow War: Armageddon, because it looks like it’ll scratch that same itch with much lower Model counts and time/energy investment. Have been listening to some of the pod casts concerning possible 8th edition updates, and there may be some major technical changes on how things function (like turn sequence, initiative), but I don’t expect it to get simpler! I’m not after simpler but streamlined. Like Thor, I’m looking for streamlined, not necessarily simplified. Fewer books to have to lug around, somewhat shorter overall play time. I agree, streamlined doesn’t necessarily have to mean simple, and yes, one rulebook and one codex is plenty to have to transport, especially if you want to bring allies for another codex! I agree on all four points. They’re why I’m hanging in there with 40K. I’m living for the models in my army, and the excitement of fielding my Raven Guard the way I want to field them. Of course, I’m blessed as a Marine player, since GW has never done anything crazy enough to invalidate the flexibility of the army in general. More mono dimensional armies like Tau or Orks suffer heavily with the swings of power and game design. Indeed they do, and it’s certainly about time that combat came a little more to the fore, Orks and Nids have suffered in the wings for too long, let’s bring them into the light! In 4th edition, close combat was pretty powerful – probably too much. They adjusted it for 5th, and I feel that was the sweet spot for it. It was powerful, yet balanced. Then 6th came, and 7th continued the trend of making the game be dominated by shooting. Close combat was/is relatively ineffective. It’s not useless, but it’s just outmatched by shooting. Nice opinionated article but I will represent the minority who is as in love with 40k. I too came up with it since 2nd edition. As you say it was the biggest, strongest, fun game at the time. But as it grew it lost it identity some major game developers were lost and it felt that they did the same with us gamers. Yes, they are thankfully making that commitment back, and I am happy to see that. I am gamer open to different games. I still support GW but I have love with the other systems out there. Infinity is one of them. There are still more that 40k can’t deliver the same amount of fun. Yes the models and the count to place on the table are impressive but what about having fun? I hope 8th fixes it and Shadows of Armegeddon appears to touch some of that old magic. I for one think GW has a lot more work to do to be that great game it used to be. Fingers crossed that 8th edition takes you back towards those thoughts. It’s true that some of the greats have disappeared from the company, Rick Priestley and Andy Chambers in particular are big losses I feel, but I’m pleased with the way they’re pushing the game forward again, their new approach to the community is inspired and has really got me excited about GW as a company again, doing things not just for the bottom line, but because it’s funny and entertaining. If they can bring that enthusiasm to the game and its rules then they’ll have a huge hit on their hands. I think it’s important to note that the reason 30K ‘lacks variety’ is because the players are picking units to win, not to enjoy playing their faction. This isn’t how the variation is intended to be played, and just represents a small minority ‘doing it wrong’ to push their own ego over enjoying the game. I’d disagree that they’re ‘doing it wrong’ here – when you make a game with a winner and loser, then you inevitably will bring in people who want to win and will play to win. That’s not the fault of the player (who in this case is prioritising winning over ‘playing fluffy’), but the responsibility of the game designer to ensure that all choices are viable in their own way. A game where those who play to win always bring the same models is a sure sign of a game where some models are not balanced against the rest. I applaud you for doing things differently! My own Emperor’s Children list is in the early stages of being built (though is somewhat delayed by me stepping into Age of Sigmar and commission painting) but it’s definitely got some of the lesser seen units in there. I'm a gamer of 20+ years experience, and an unashamedly positive 40k fan. I've spawned many armies over the years but I always come back to my beloved marines, whatever colour they may be.